A new app built by Fordham University students, along with their computer and information science professor Frank Hsu, Ph.D., is helping social workers and administrators provide comprehensive and equitable access to social health resources in the Bronx. 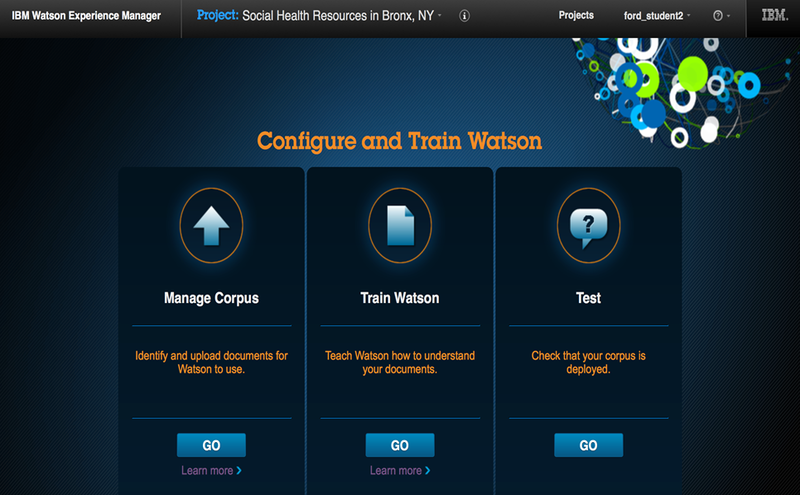 Using IBM Watson’s cognitive question and answering technology, staff at P.S. 85, a Fordham Community School, can type questions such as, “Where can I get food stamps?” and the program will relay the nearest location to get SNAP benefits. 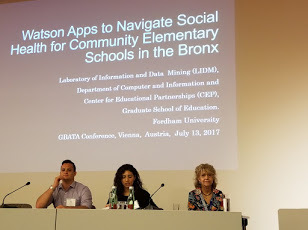 In July, two students from the Fordham team, Anna Poulakas and Alon Yoeli, alongside assistant dean and director of the Center for Educational Partnerships Anita Basti, presented their project at the Global Business and Technology Association conference in Vienna, Austria. The presentation covered how students built a database of relevant information and then trained Watson how to understand the question, search the database, and return the best possible answer. As the project moves forward, the team not only hopes to continue to refine the app’s precision, but also to expand the database to cover a broader scope of questions for additional geographic locations and grade levels.